This stroller is one of the smoothest ones Iâ€™ve had! It works so well. 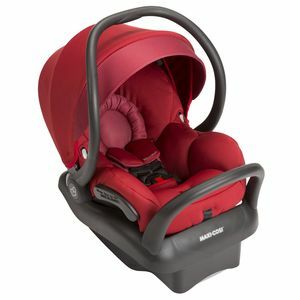 Love that it can use the infant car seat and that it also fits my 4 yr old if needed! I bought this stroller to use for my grandson. I love it, sturdy and easy to open snd close. Has 3 positions so baby can recline to sleep. Iâ€™m very pleased with my purchase. As a first time mom, I did my homework on strollers. 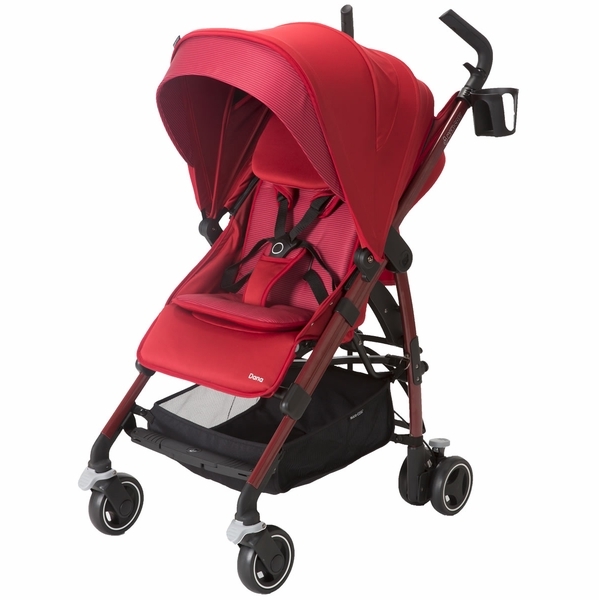 I wanted one that was comfortable for the baby, light weight and easy to manage. This stroller fits the description and most importantly my baby enjoys it. I highly recommend anyone that travels often. The canopy covers most of our baby even when it's super sunny, which is awesome. When he's layed back it's kinda like a cocoon for him so he's feel confident to sleep. The canopy is slightly sheer from the inside so he can see out, but you can only see in from a large peep hole up top. It's really great, the only thing is when the canopy is completely engaged, if the wind catches it or we hit a bump, one side of the canopy slightly unlatches. I'm not sure if it's just this one or an issue with all, it's more of an annoyance than a problem though. You can take the cup holder on and off though it is flimsy (I've spilt, luckily the canopy protects baby well). Love this stroller! 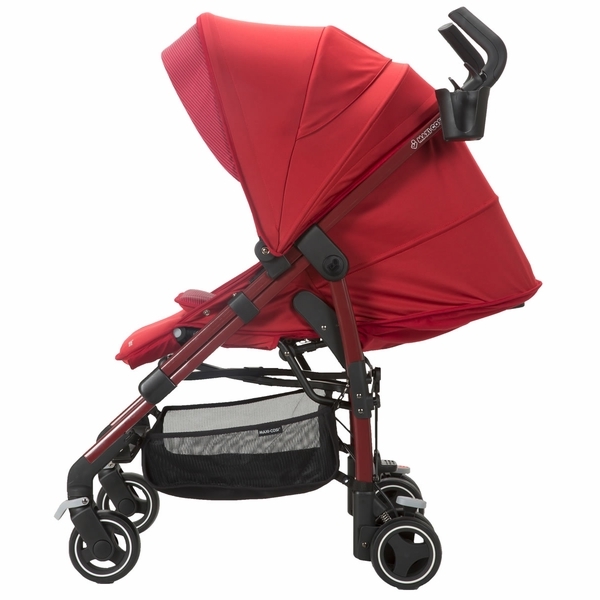 fits great in the trunk of my car and acts as a standard umbrella stroller but with lots of bonus features--easy to fold, huge canopy, cup holder, head pillow that my son loves, and thick comfy fabrics. I get compliments on it every time I'm out. highly recommend! How much does this stroller weigh? 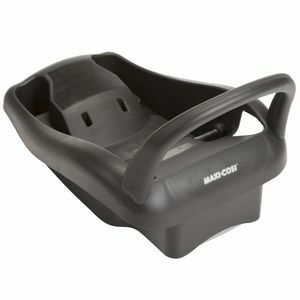 Can it be used for an infant before they can sit up without the car seat? Does it recline all the way? Thank you! 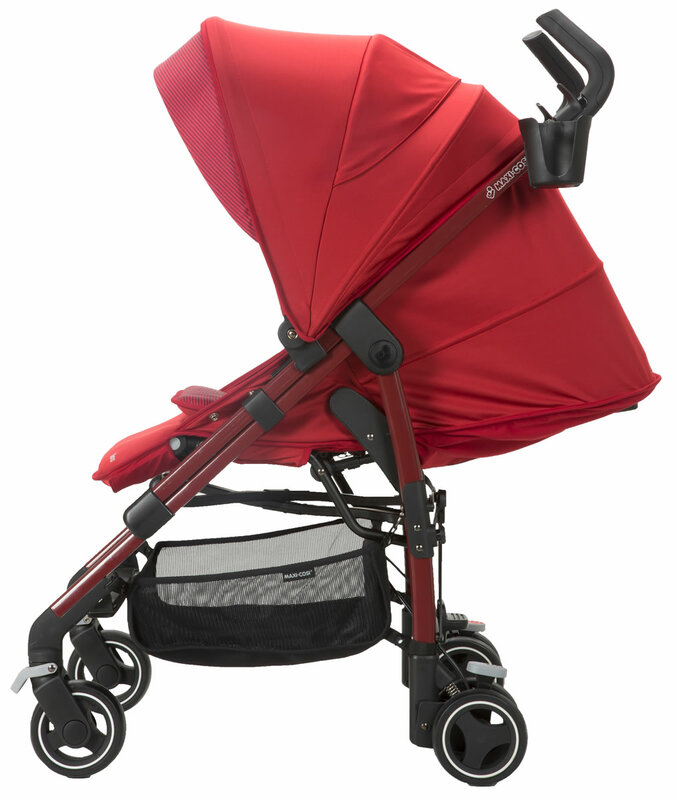 The Dana includes carriage mode with a full recline that lets you use it as a true pram. From birth in carriage mode â€“ or with the car seat Weight: 19 lbs. 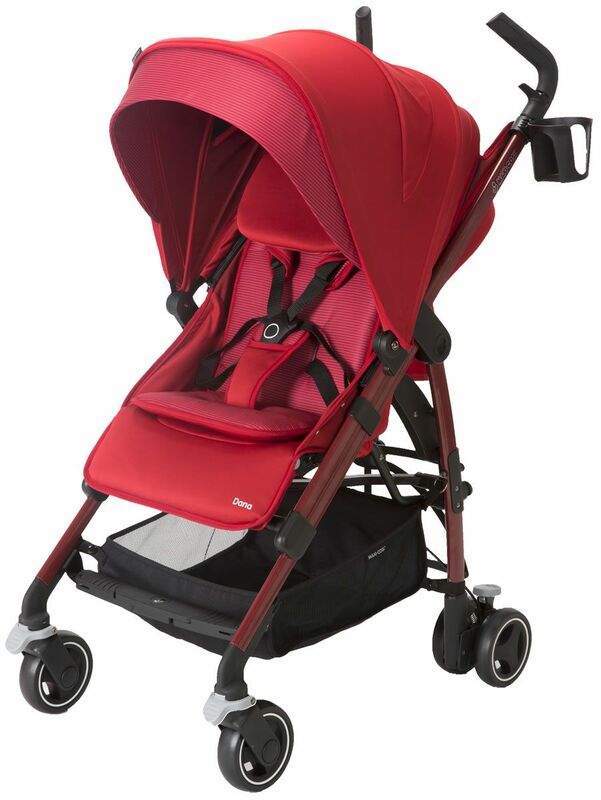 Give your baby a cozy ride from birth in the Maxi-Cosi Dana stroller. 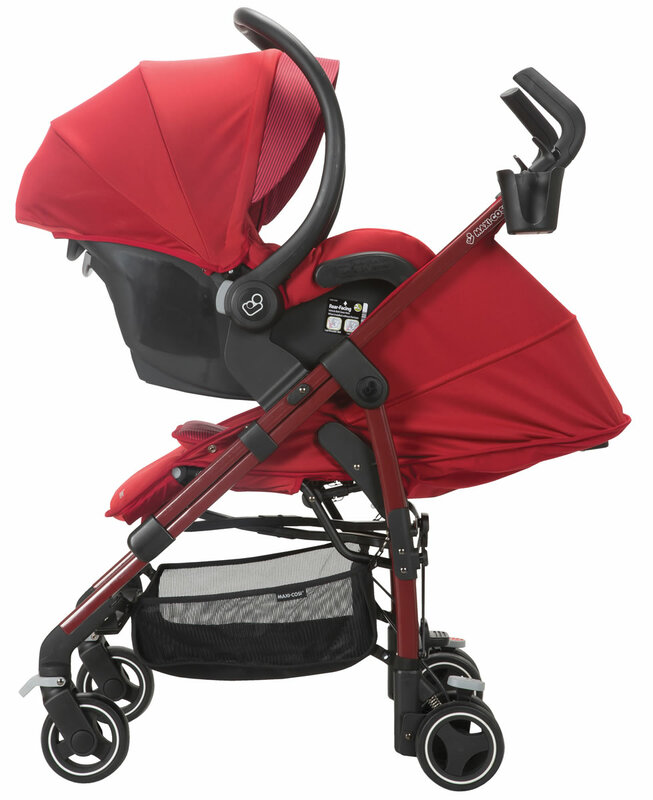 Specially designed with infants in mind, the Dana includes carriage mode with a full recline that lets you use it as a true pram. 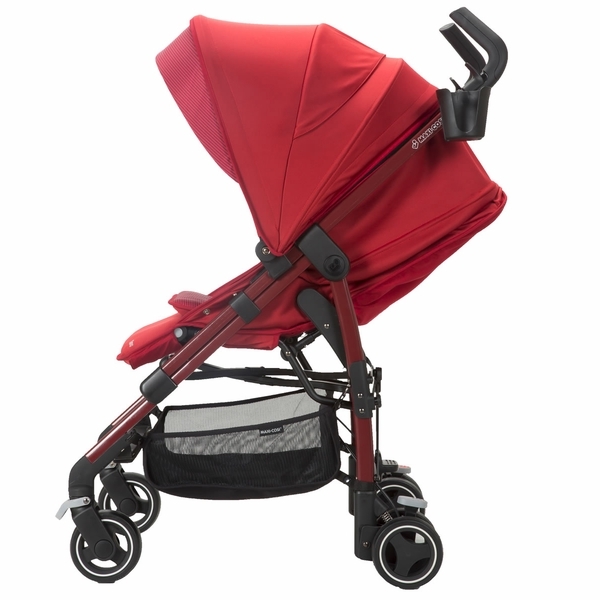 If your baby’s sleeping peacefully in the car seat, there’s no need to wake them when transferring to the stroller. 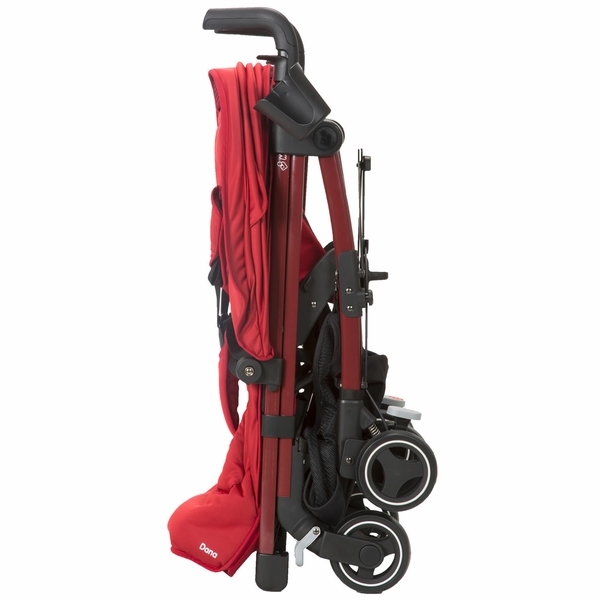 The Dana also works as a travel system with the included Maxi-Cosi infant car seat adapters. 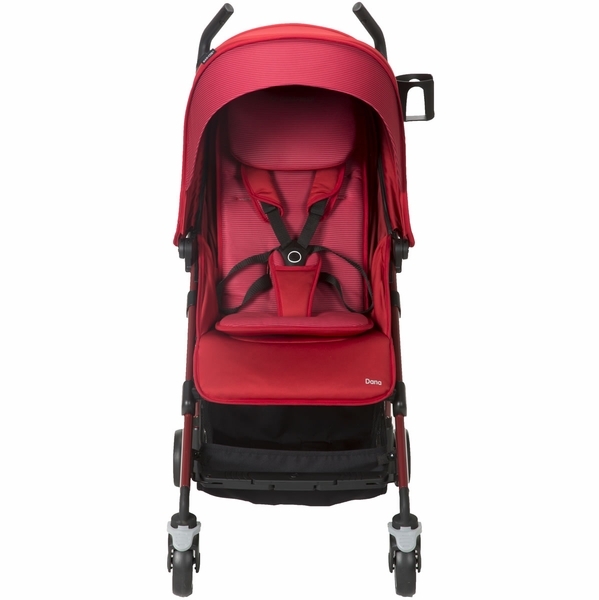 You can use the Dana in this travel system mode both with and without the stroller seat attached, letting you choose how you want to get around. 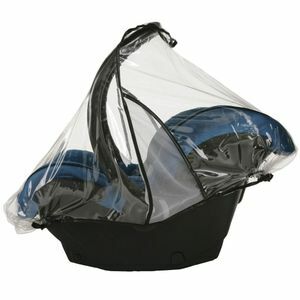 In both carriage and taxi mode, the extra-large Cosi Canopy helps protect baby’s sensitive eyes from bright lights. 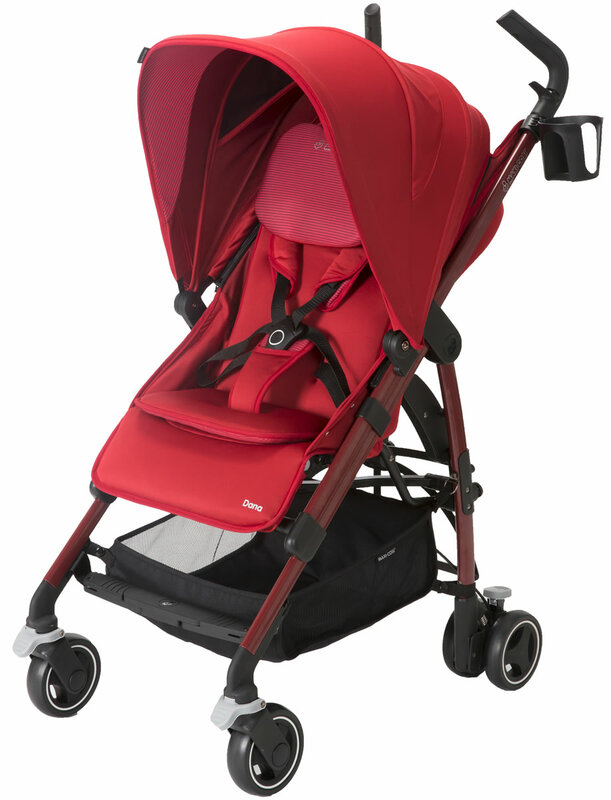 The canopy also features a peek-a-boo window to give you a comforting view of your baby while strolling. 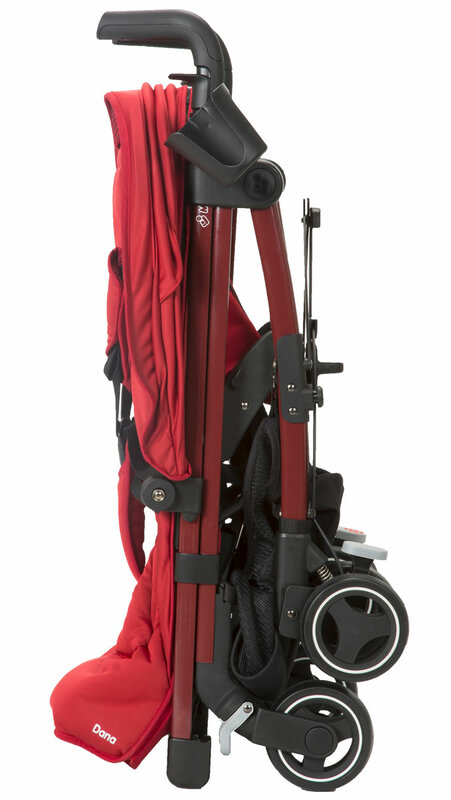 The Dana is a full-featured stroller and includes a parent cup holder and a roomy storage basket for your gear. 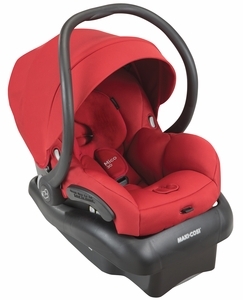 The seat comes with a 5-point padded harness system to keep your baby snug and comfortable while strolling. 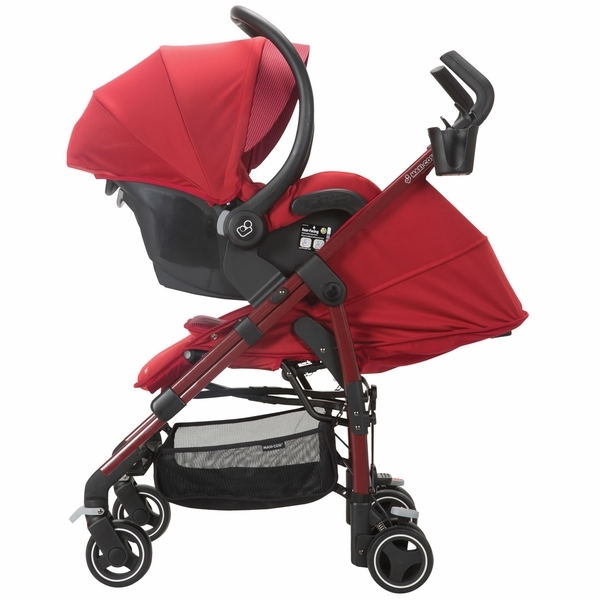 It also has multi-position recline, letting you give your child the perfect angle, whether upright for watching the world ahead of them or leaning back for a little snooze. 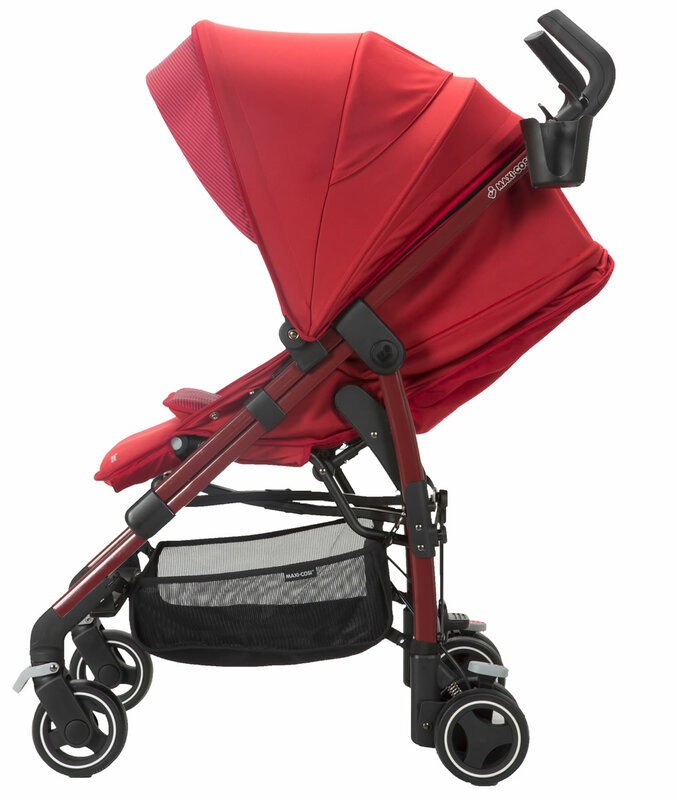 The seat fabrics are reversible, letting you get two different looks in one stroller. The seat is also both machine washable and dryer safe, making it easy to get a thorough clean. The easy, compact fold makes is simple to store the Dana away, whether in the car as you head out for the day, or at home once the day’s journeys are done. No matter what your destination, the Dana stroller lets your family get there in comfort and style.